THE family of a man who was recently discovered dead in Horsell Moor have launched a personal plea to the public to help them find closure. The body of Stuart Brown, 35, was discovered under a blanket and concealed in woodland by a dog walker on April 22. A post mortem conducted last week could not establish a cause of death. Further toxicology tests are due to take place, but results may not be available for some weeks. Stuart’s sister Jaime, 38, has now launched a personal plea on behalf of her brother’s friends and family which they hope will aid the investigation. 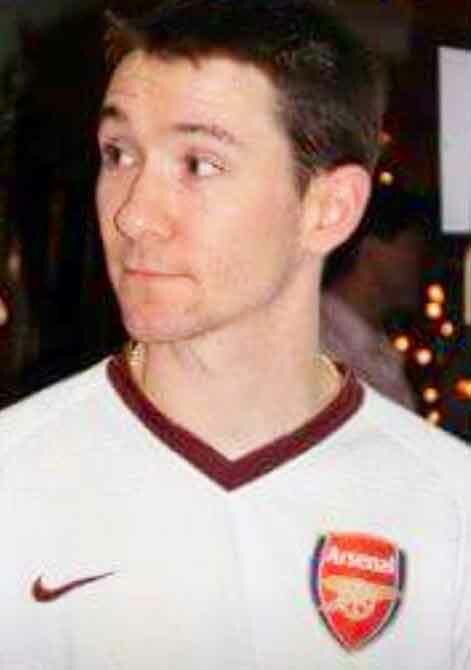 Arsenal fan Stuart was last seen walking away from the town centre, along Constitution Hill, at 4.20pm on Tuesday, April 21. Officers are trying to establish his movements from when he left his home in Walton Road, Maybury, at around 1.30pm that same day. Stuart is 5ft 10in tall, of slim build with brown hair and brown eyes. He was wearing blue jeans, a red 1988/89 JVC Arsenal football shirt and white trainers. He was also carrying a light blue Adidas shoulder bag. Jaime and Stuart’s father, Stuart Brown Senior, have been trying to assist the police by taking to the streets themselves. Jaime explained: “He was a popular and friendly face around Woking. Vicky Harrison who works as Checkout Supervisor at Asda Maybury said he was probably one of the nicest guys she’d ever met, she’ll miss his big smile. “The lads down at Sopranos barbers in Woking also said Stuart was a real character and always smiling. Dad and I went to Woking on Friday after putting together posters with his photo and details and distributed them around town in shop windows, handing them out in the street. The family also appeared on a televised ITV appeal on Monday evening. In memory of Stuart, the family have set up a JustGiving page with all donations (£850 when the News & Mail went to press) going to St George’s Hospital Charity. Visit www.justgiving.com/jaime-brown to make an online donation. Stuart was previously treated by staff at the hospital for a benign brain tumour. Anyone who may have any details that might help with the investigation is asked to call 101 quoting ref 45150032875.